Though they’ve seen resurgence due to some new and exciting applications, boilers have been a dependable source of heat for a very, very long time. This is for good reason! They provide excellent utility for any home or business, and have a reputation of being durable, and long-lived. At ComfortMaster, we’ve been bringing our consumers excellence in all regards for years, and if you’re looking for top-quality boiler installation, look no further! Our team of certified specialists only bring the absolute best in skill, service and products for every project. We use boilers supplied by industry-leading manufacturers, to ensure you get exactly what you need. No matter the size or type, we have the boiler your home or business needs. Considering boiler installation for your home? Call on the experts at ComfortMaster today to learn more about how we can help you best! You can reach us online any time, and we guarantee our work! Though they’ve been a mainstay for quite some time, many homeowners are in the dark about the benefits and applications of a boiler. Put simply, boilers are designed to heat water to high temperatures to generate energy. They are primarily used in heating homes, but are often employed for use as a water heater as well, both tasks being performed quite efficiently. How exactly this energy use is applied can vary wildly, from simple baseboard heaters to something as complex (but wonderful) as heated floors. Boilers are safe. With no harmful gases, and little in the way of combustion, boilers provide an added safety that is unmatched by other heating systems. Boilers are quiet. Today’s boiler are much quieter than ever. Manufactures have implemented many design changes to lessen operational noises. Boilers last a long time. 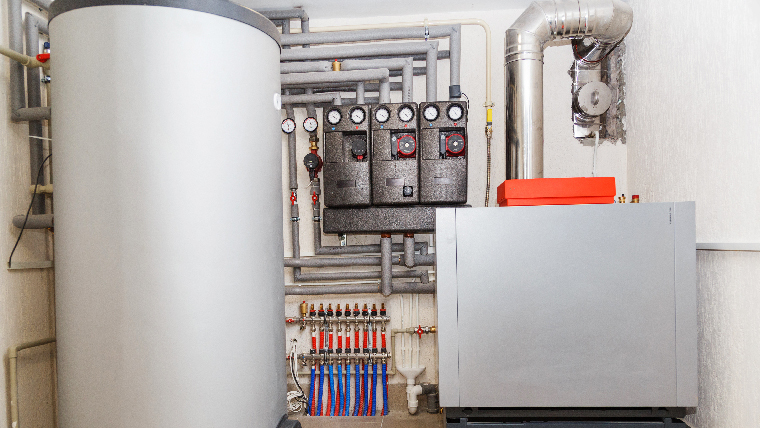 Other heating systems do not last as long as boilers, mostly due to its inherent construction. Boilers can be expected to last about a decade more than other options. Boilers can serve multiple purposes. When it comes to flexibility, nothing beats a boiler to provide heating for many applications. Radiators, baseboard heaters, fan coils, water heating, pool water heating, and driveway snow melting are just several ways to use a boiler. There are some considerations to take into account for boilers, of course. The initial investment for energy-efficient boilers can often be a deterrent. But at ComfortMaster, we can absolutely guarantee the investment is a sound one. Heating from a boiler is one of the most effective systems available, and will provide you with a very long-term heating solution. With our professionals, your needs always come as the absolute top priority. For boiler services that exceed expectations, and rise to any occasion, choose ComfortMaster for all of your heating needs! Contact us today to learn more about how our boilers can benefit your home or business!